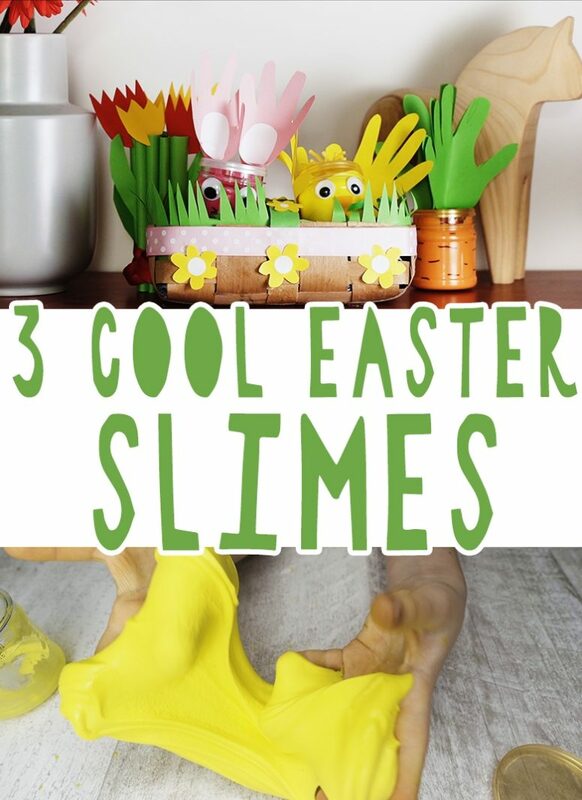 Slimes are awesome to make them for Easter! 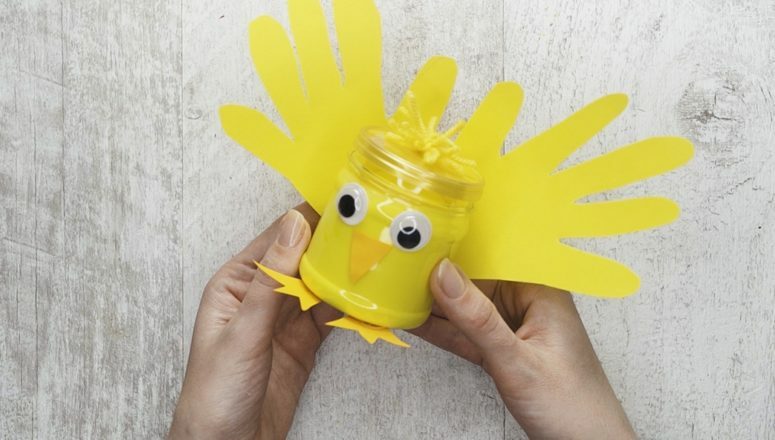 They can become a nice gift, a part of decor or a nice activity to play with kids. 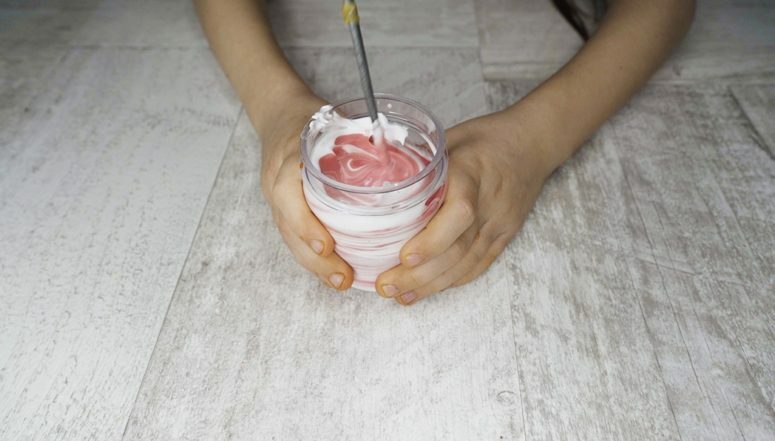 Here are three easy recipes to realize. 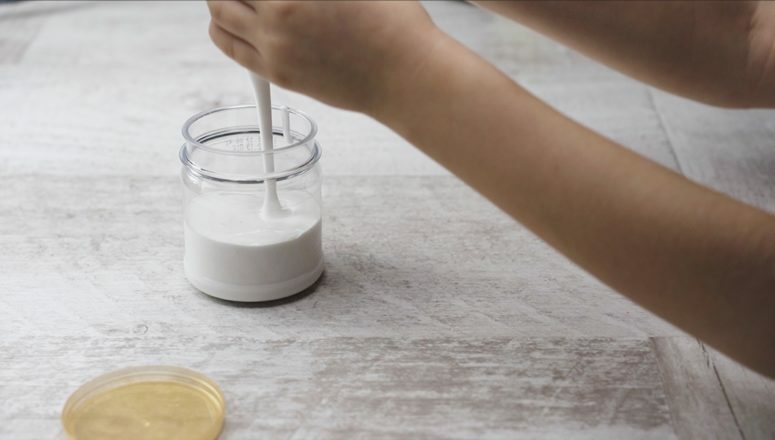 In the end add some Borax solution – drop by drop. You are done! Now put your kid’s hands on the sheet of paper and trace them, then cut them out. 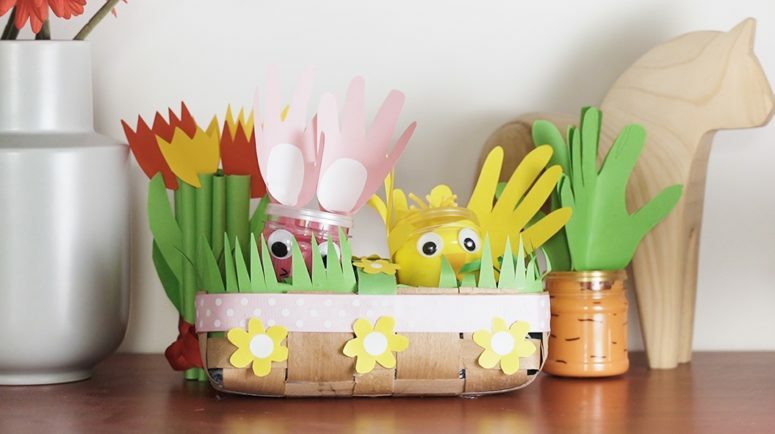 Add eyes, a nib and legs of colored paper using the same glue gun. Take some yarn in the matching color, then make a knot and cut off the excessive yarn. Glue the resulting little piece of yarn on top the jar to represent hair. 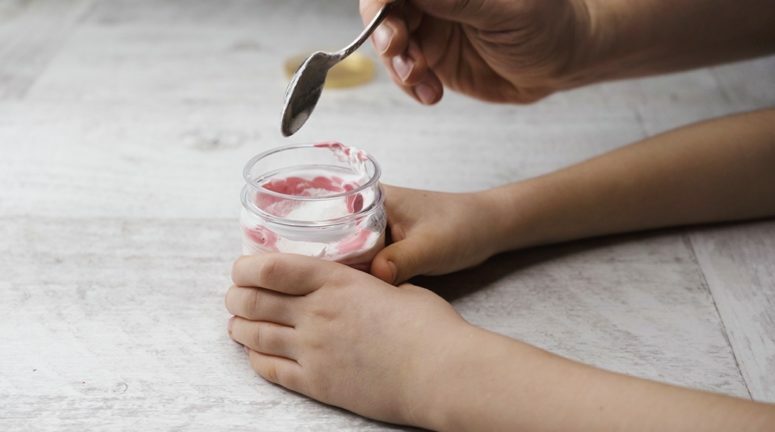 Add pink food coloring, then mix well using special tools, add shaving cream and cornstarch and in the end add some Borax solution – drop by drop. Put it back into the jar. Now put your kid’s hands on the sheet of paper and trace them, then cut them out. Add white pieces of paper inside these little ears, then make small cut in the base and using a glue stick give the ears a rounded shape. 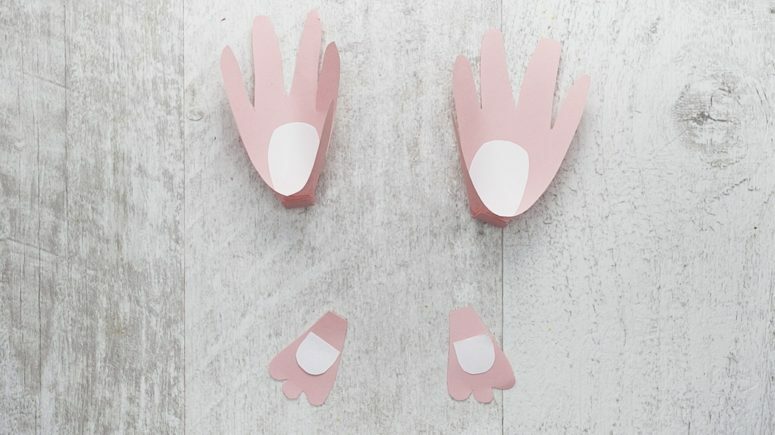 Cut out some pink paws and add white touches to them using a glue stick. 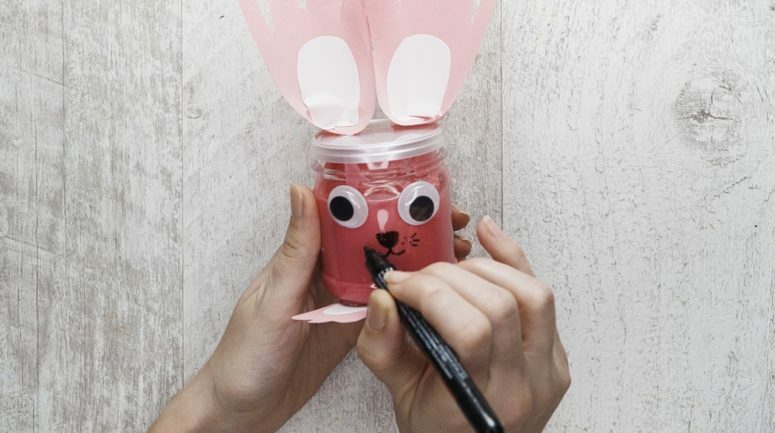 Using a hot glue gun, attach the ears and paws to the jar. Add googly eyes, draw a nose and a mouth with a sharpie. 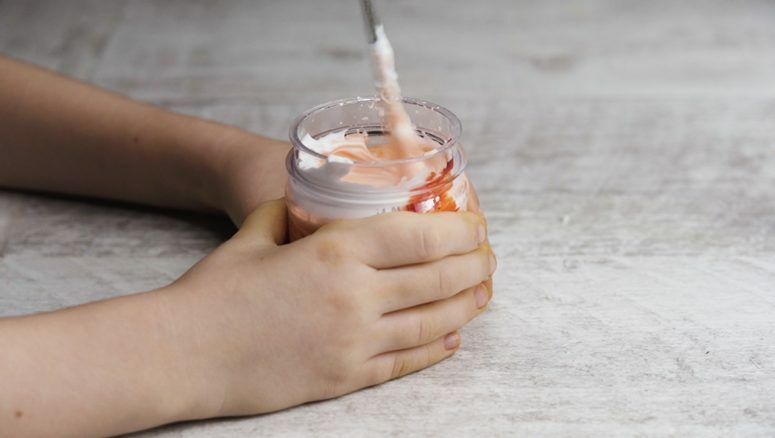 Glue a pink pompom as a tail on the back of the jar. 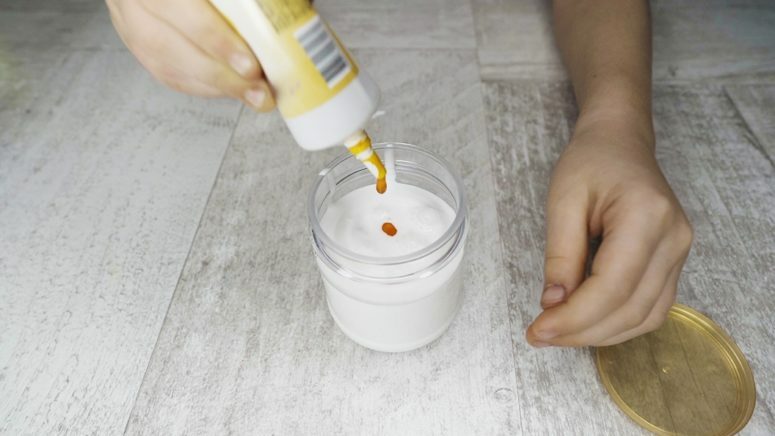 The supplies are white glue, orange and yellow food coloring, shaving cream and borax solution, colored paper, a glue stick. 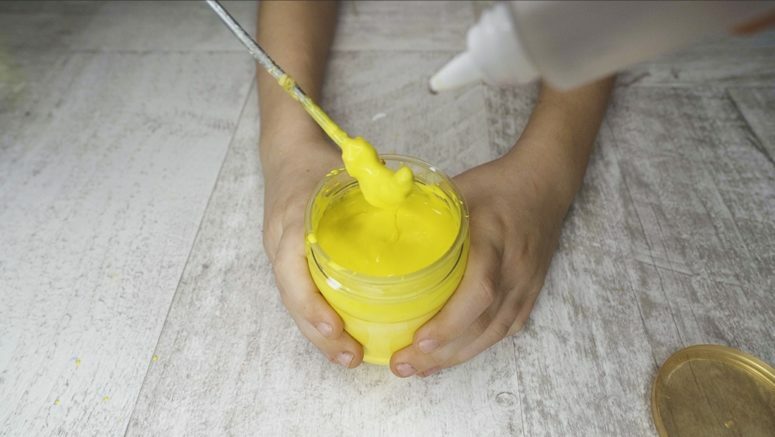 Pour some white glue into a jar, add orange and then yellow food coloring, then mix well using special tools, add shaving cream and in the end add some Borax solution – drop by drop. 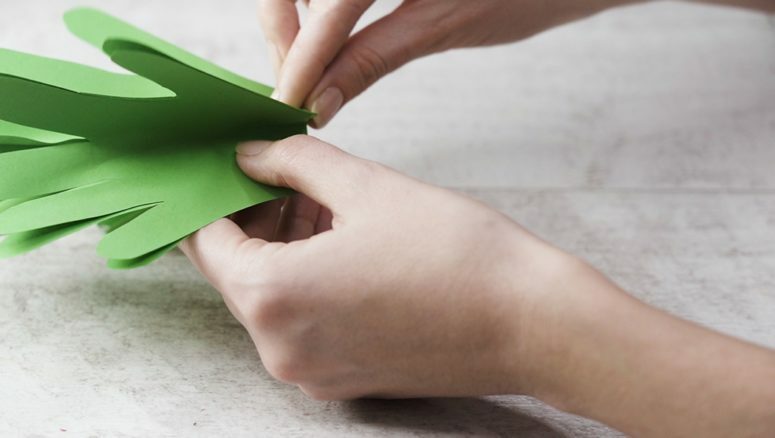 Now put your kid’s hands on the sheet of green paper and trace them, then cut them out – you’ll need 4. 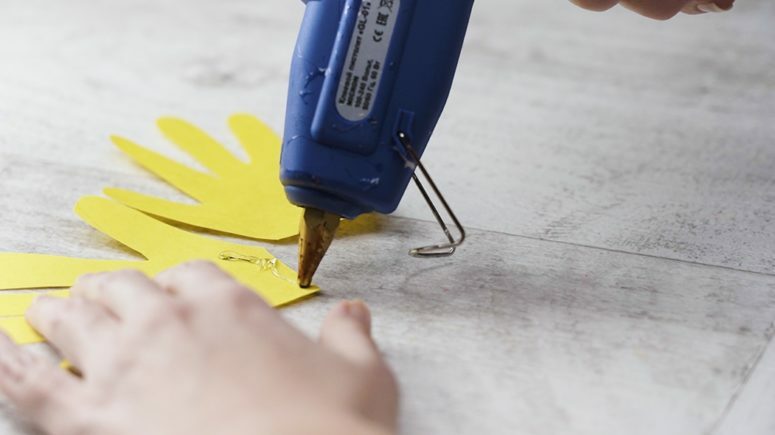 Using a glue stick, attach all the hands into one single piece. 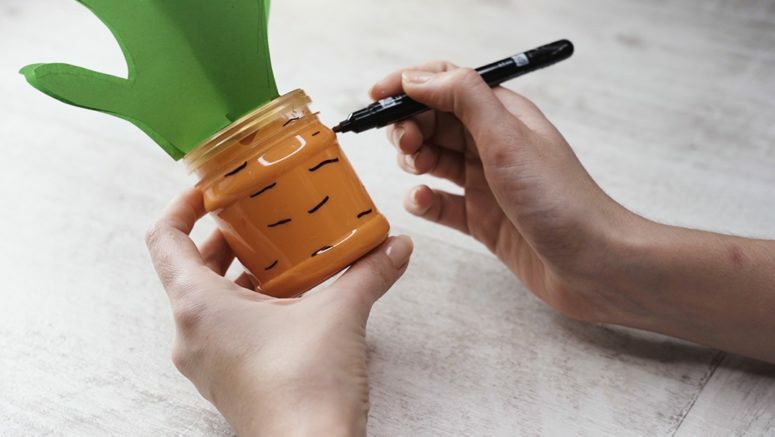 Glue the piece on top the jar, draw some lines with a black sharpie on the jar.